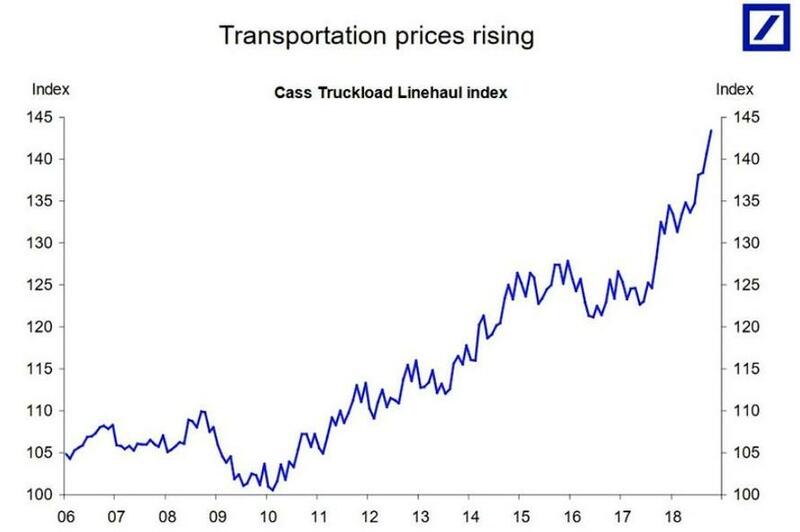 Orders for heavy duty Class 8 trucks were down 43% in December, according to ACT Research data cited by JP Morgan and Buckingham. According to data, 21,300 units were sold in December. Class 8 trucks are one of the more common heavy trucks on the road, used for transport, logistics and occasionally (some dump trucks) for industrial purposes. Typical 18 wheelers on the road are generally all Class 8 vehicles. 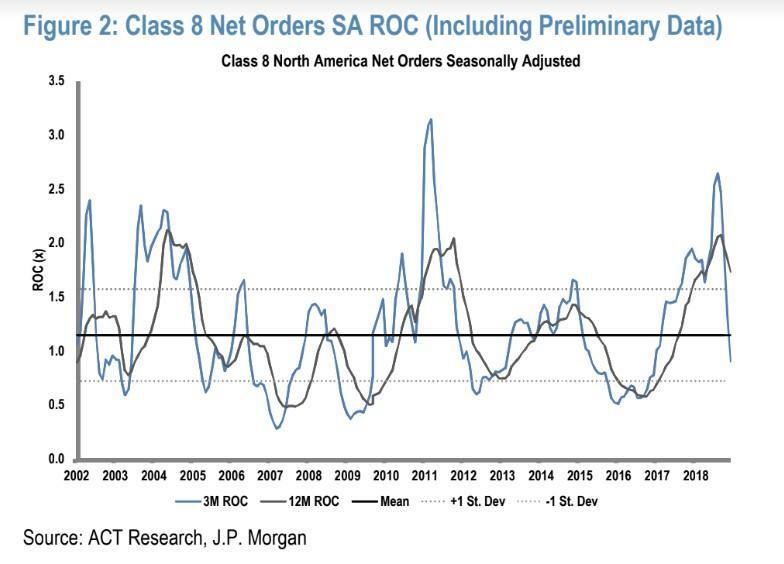 An analyst from Buckingham, Neil Frohnapple stated: "Overall, Class 8 orders were at the lower end of our expected range for the month of December as a further slowdown was anticipated given the extended industry lead-times." December is widely considered to be the highest net order month, but due to Q3 showing strength that normally isn't associated with the seasonally weak quarter this year, some analysts claim they expected the weak Q4 numbers. 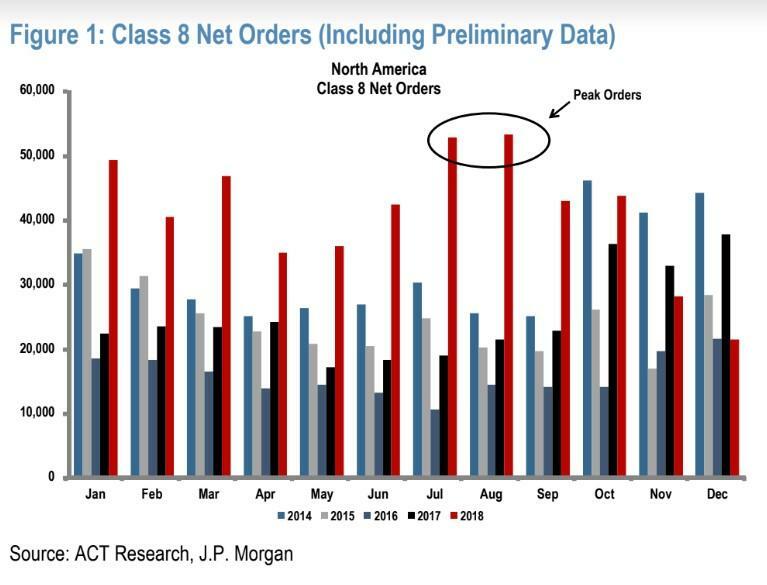 "...we expected the peak-season order period to be relatively weaker," he continued. Class 5-7 truck orders - consisting of medium trucks between 16,000 and 33,000 pounds - were down 5% to 21,500 units. 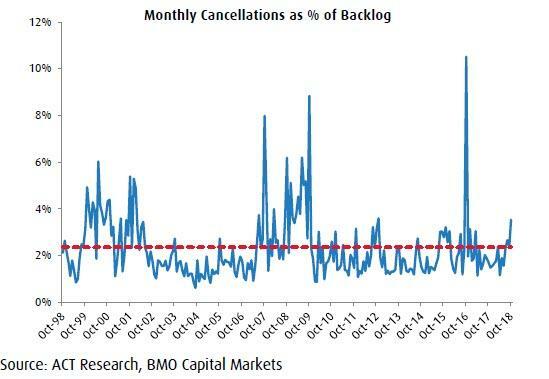 As a reminder BMO analyst Joel Tiss said in early December that while "there is no doubt that freight and freight-rate growth have slowed, we do not think that it is time to panic just yet."